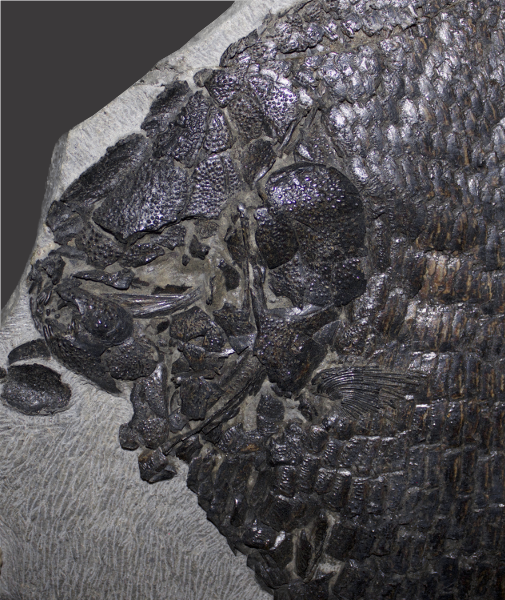 Both Lyme Regis and Charmouth are famous for the exceptional fossil fish which have been discovered there, the overwhelming majority of all known species are of very ancient lineage, their bodies appearing almost as they did in life, owing to their distinctive, protective covering of heavily armoured, glossy scales attesting their ancestry. 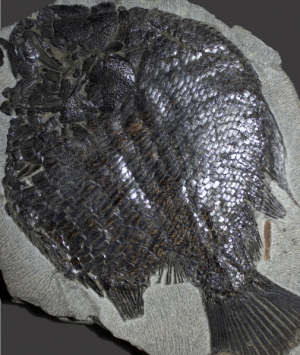 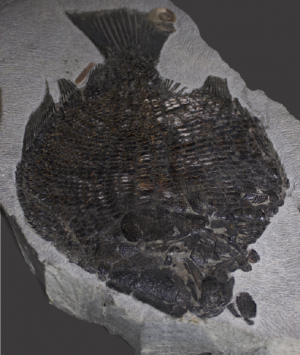 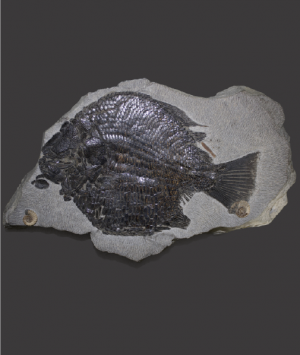 Vertebrate remains such as this magnificent fish are extremely uncommon finds from the Dorset ‘Lias’, the highly distinctive and beautiful Dapedium being the best known and most highly prized of all the fossil fish species found there. This rare, complete specimen is exceptionally well preserved along with examples of the ammonite, Promicroceras Planicosta and has been carefully revealed from within a fine grained limestone matrix, known as, ‘woodstone’, with the use of acid preparation techniques and hand tools. 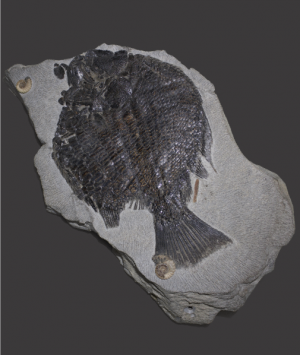 It can be seen illustrated and immortalised in, ‘The Book of Lyme Regis’, by Rodney Legg.